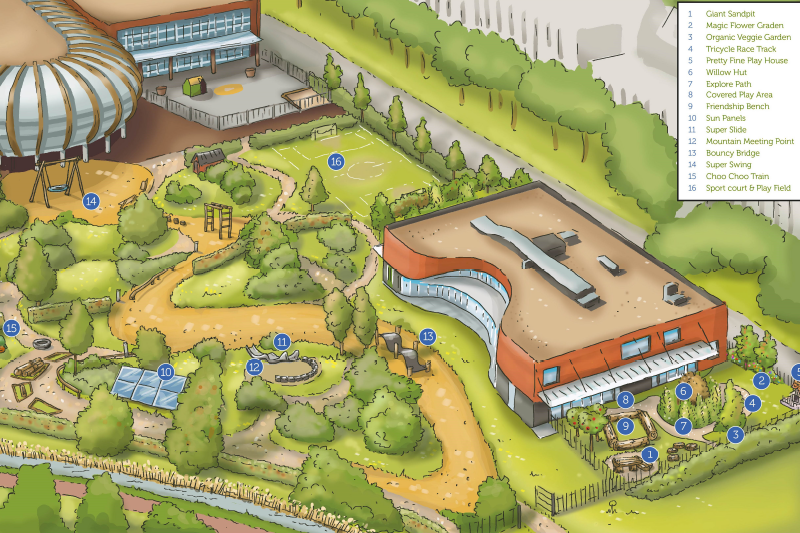 Please be informed that registration for the Willows Day Care is currently closed as The British School in The Netherlands (BSN) has started construction to facilitate the expansion of its Leidschenveen Campus, to add a Secondary School division. As the expansion of the campus will also include the development of brand new day care facilities, the Willows Day Care children will be temporarily re-homed from October 2018 – Winter 2019. As an alternative, you may wish to consider our new location ‘The Little Castle Day Care’. The Little Castle is situated at a 4.6 km distance of The Willows within one of Voorburg’s best known historic properties ‘Huis de Werve’ on Parkweg 1, 2274 ES, Voorburg. Furthermore, we also have 'The Estate Day Care' in the Benoordenhout area of The Hague and 'The Maples Day Care' in the Bomenbuurt/edge of Statenkwartier. Upon completion of the new Willows Day Care facilities, your family could choose transfer to The Willows in the Winter of 2019. For any questions relating to the transition period, please don’t hesitate to contact our friendly team via info@zeinchildcare.nl or 070 326 8263. Located towards the suburbs of The Hague, The Willows Day Care is located on the edge of the Leidschenveen campus of the British School in The Netherlands. Most of the children go on to the British School when they reach school going age - but the location is open to all families interested in international childcare. With up to 4 times more space compared to traditional Dutch Day Cares, this is a eco-friendly, stunning, light and modern facility housing 4 Day Care groups. Landscaped play areas and a spacious multi-purpose central hall go to make this a flagship location well worth a visit. The Willows Day Care is open Monday to Friday from 08:00 to 18:30 hrs throughout the year, closing only on official Dutch Holidays.